Rest is the Best Thing for Pain Management– Studies have shown managing back pain with movement, such as light stretching, exercising or a short walk to keep you limber, is better than resting a bad back. Losing Weight is the Best Back Prevention– Losing weight is great, but being overweight is just one factor among many that can contribute to back pain. Other risk factors include age (general wear and tear over a person’s lifetime), immobility, smoking, stress, and poor posture also can contribute to back pain. On the other hand, being skinny doesn’t mean pain free either. Anyone can get low back pain. 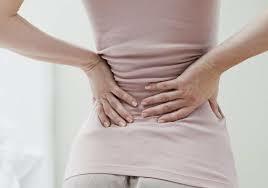 People with Chronic Low Back Pain Need Surgery– This is rarely the case. Most back pain, even chronic pain, is not treated with surgery. Conservative treatment, such as exercise therapy, will be tried first before surgery is even considered. Once a Bad Back, Always a Bad Back– Back pain is common, but good back pain management and back pain prevention (staying active) can keep most backs healthy, even if you have had back pain in the past. Lifting Heavy Objects Causes Low Back Pain– it’s not what you lift, it’s how you lift (note- to a degree. Obviously if something is too heavy for you to pick up, you shouldn’t!). Proper lifting techniques are vital to having and keeping a health back. Pain Means you are Injured– if you are suffering with chronic low back pain (more than 3 months), there is a good chance that if you had a prior injury to that area, it has already healed. Disc degeneration, diseases, infections, and even inherited conditions can make your back hurt, too.